In this series of four articles this week I examine the course of the Credit Crunch from the perspective of the interface between the hyper-financialised world of collateral debt obligations and securitisation, and the more familiar world of industrial corporate debt. It is at this nexus that many of the subsequent developments in the world economy can be located. It also provides a useful starting point for discussing legal complexity, rather than the ‘antecedent but not principal cause’ of the crisis, namely the bust in the Residential Mortgage-Backed Securities market, whose structure operated as a culmination of legal and economic innovations in varied fields, including that of corporate debt finance. With the market in securities flat-lining in 2009 and asset prices heading downhill, one might think that the biggest creditors in the banking crisis would have been filing for insolvency in direct proportion as their industrial clients hit the wall. Yet the banks that collapsed were those that were largely exposed to the sudden shutdown in interbank lending (Lehman Bros, Northern Rock, IKB, RBS, HBOS). Those banks with greater industrial exposure actually made bumper profits in 20091, with the surviving investment banks adapting quickly to the near-monopolistic conditions that have appeared 2. How on earth was this profitability possible? Part of the answer is a result of the contractual law and practice that had developed across the financial world, largely, and sometimes embarrassingly, following Anglo-Saxon practice. In essence, the credit agreements that were in place were so designed that the initial problems confined to the arcane interbank sphere, and which were directly affecting lenders ability to continue to fulfil their obligations under these credit agreements, actually managed to produce conditions which placed the innocent party, the industrial borrower, in the wrong. The result: industrial borrowers were forced to compensate the banks for the Credit Crunch. The core of the problem was rooted in what are known as financial covenants. The structure of a credit agreement is such that the operative clauses (e.g. Bank plc makes €100m available to Factory S.à r.l., with a variable rate of interest applicable) are relatively short, and are followed by a long list of obligations with which the borrower must comply at all times 3. Of these covenants the banks tend to be most interested in a small but complex subset – the financial covenants. Depending on the nature of the business, the standard financial covenants fall into two categories, interest cover and leverage. The former ensures that the borrower always has enough cashflow to meet its interest payments, but it tends to be finely tuned. The idea is to monitor cashflow well in advance so that warning lights are flashing as business liquidity falls well before interest payments are affected. The latter, leverage, tends only to be imposed where businesses actually have capital assets. As the name ‘leverage’ suggests, the issue is the ratio of realisable assets to the total debt owed at any one time. As the collapse of Lehman Bros. caused the interbank market to seize up, it became increasingly difficult for banks to find funding. By 10 October 2008, three-month Sterling Libor (the London Interbank Offering Rate) had risen to 6.285%, while three-month euro Libor stood at 5.366% – near 14-year highs 4. This had almost immediate effect on existing deals with commercial/industrial clients, for these credit agreements tended to be of the type known as “revolving”. This commonly meant that every three months the borrower must notionally repay what it has borrowed and then immediately borrow it again (if it so wishes), though in practice what would happen is that all this would be a paper transaction. The lending bank, however, would only itself have borrowed the money it was lending for the requisite three months in the interbank market. When this time was up, the bank would have to repay this cash and borrow fresh funds in the interbank market. This process, called a “rollover” in financial jargon, was reliant on the lending bank finding fresh funds on the requisite day. When Lehmans collapsed, revolving credit facilities became caught in a vicious circle. Banks started hoarding cash to cover losses in Lehmans-related transactions and more importantly to enhance their balance sheet in the eyes of hedge funds who were sniffing out the next lame gazelle in the herd. This reduced availability of funds in the interbank market, forced banks to draw on their own cash to be able to fund rollovers, and seek to stockpile further funds to meet these new liabilities. This sucked more cash out of the interbank market, intensifying the liquidity drought and spreading panic. The cost of funds (e.g. as indicated by LIBOR), which is the price a bank must pay to borrow in the interbank market, rocketed, with privately quoted interest rates vastly exceeding the publicly announced ‘averages’. The banks’ problem in late 2008, before central banks stepped in effectively to replace the interbank market by printing money, was expressible as a function of the bottom line. Banks were charging lenders say 150 basis points (‘150bps’ = 1.5%) for €100m, but were themselves having to borrow that same cash at a rate of 500bps plus. The banks’ claim, therefore, was that borrowers were actually being given funds at a massive discount to market, with the banks meeting the shortfall. The fact that banks were also drawing on their own funds, that the money was already lent, and that central banks were, within a financial quarter, offering money for less than nothing, did not mitigate, at least in banking chief executives’ eyes, the fact that for once the house was seen to be losing bets. From a legal point of view, 2008 had seen the rise of arguments in favour of calling a ‘market disruption’ event6. When the supply of credit first started to dry up and rumours filled the market of the exposure of US investment banks, bankers quickly turned to a piece of contractual boilerplate in their credit agreements which allowed the banks to charge cost in cases where interbank funds became scarce. The intent of the clause was always to deal with the situation where, say, the London or New York interbank market suddenly ceased trading, for example because of a technical glitch, terror attack or force majeure. The market disruption clause provides a means for re-setting the base rate where the prescribed base rate does not reflect the lender’s actual cost of funding. Under the LMA multicurrency credit agreement the market disruption clause is triggered where one or more lenders representing an agreed proportion of participations (typically between 35 and 50%) notify the agent that the cost to them of obtaining matching deposits in a particular currency would be higher than the relevant base rate specified in the credit agreement. Once triggered, prior to rate fixing, the lenders advise the agent of their cost of funds from their new source and that replaces the base rate for that currency. Following the disruption to the interbank market in October and November 2008, there was a renewed focus on this clause, as screen rates diverged from actual interbank rates and banks sought to recover their higher costs of funding. The argument now being mooted was that market conditions were approaching such a degree of difficulty for banks that they amounted to an Act of God, and that as such, it was only fair that borrowers bear the increased costs of funds – afterall, no one could borrow at a cheaper rate. In one of the many sickening ironies of the Credit Crunch, the banks were essentially claiming that market forces brought about by their own imprudence were unfair and that someone else should pick up the tab. It was an argument which would be repeated when the banks were bailed out, and repeated again when taxpayers were ordered to cut their services. In these circumstances, lawyers began working on opinions as to whether the argument could be sustained. Events, however, proved that these opinions would largely be kept in drawers, to be used as drafting guides for future lending contracts. Market disruption was largely not called (at least in respect of English law-governed loans), save perhaps in live leveraged finance transactions. A large part of the reason for this was that macroeconomic events brought about conditions which tipped the scales quickly against borrowers. By December 2008, borrowers’ finance officers were starting to see huge downward pressure on cashflow and threats to asset prices. Certain key industries, such as automotive, shipbuilding and construction, led the way in this regard. 2008 in the real economy was characterised by a continued boom which had driven commodity prices higher and ensured oil had reached record levels of around US$143 a barrel7. These prices were being augmented further in 2008 as finance institutions, concerned about the collapse of Bear Stearns and vulnerability of Lehmans fled from US assets into commodities, initially gold and oil, and then agricultural futures8. The cost of petroleum was severely hurting the shipping and automotive industries9 which constituted key links in the economic chain between exporters such as Germany and China, and net-consumers such as the U.S. and UK. Exporters were attempting to charter fewer ships, and inland distribution agencies were using bigger, older vehicles and greater numbers of logistics warehouses to cut costs. Preferring to mend and make do with aging transport stock, orders for new ships, lorries and other goods vehicles fell. As such, the automotive industry in particular was already entering a relatively small downturn even before September 2008. Economic conditions were slowing down, but the vast number of subcontracting businesses involved in the automotive sector continued to get by, with some even engaging in merger activity into the Autumn of 2008, unaware (unlike the financial community who already knew Lehman was all but finished in the early Spring of 2008) of the coming crash10. A series of financial crunches hit the transport sector as Lehman fell. A major factor was the collapse of the relatively venerable world of shipping and trade finance, where letters of credit between exporter and importer rely on the mutual trust of their bankers. A bank would pay out on presentation of a letter of credit issued by a corresponding bank effectively on the basis that it trusted that bank to refund the amount paid out. With even mighty New York banks filing for bankruptcy, this trust vanished overnight and so did letters of credit. Exporters and importers could no longer find corresponding banks willing to finance the shipping of goods. Export countries continued to manufacture, but the goods lay in railway sidings at ports, ships standing idle in the docks of Hamburg, Rotterdam and Shanghai. Orders for new ships ceased. Even if shipping companies had needed a new ship, the enormous cost of such a capital asset required debt finance and that was in no way forthcoming from banks. Indeed, with the collapse in shipping trade the sole method of interest service which ships offered, the very act of shipping goods for profit, also disappeared. Thus no one wanted ships, and so their asset value fell significantly. Unsurprisingly, not only did shipping companies start to totter, but banks focusing on shipping finance were also pushed into crisis, as in the case of HSH Nordbank in Hamburg, which had fought to acquire shipping company Hapag-Lloyd in October 2008 (whose value had fallen from €7 to 4bn in a matter of months), only to require rescue in January 2009 as a toxic bank by the State Governments of Hamburg and Schleswig-Holstein 12. The shockwaves rolled on, however, with increasing complexity, hitting in seemingly unconnected parts of the globe. The failure to ship goods meant that importing warehouses stood empty (thus falling in value and effecting the debt finance that had been used to acquire them). Empty warehouses meant that transport vehicles had nothing to transport. Orders for new vehicles ceased, with logistics companies preferring to butcher existing stock for spare parts to create smaller, older fleets. Truck manufacturers acted overnight. There were stories of parts being delivered to Detroit only to be turned away at locked gates13. Factories were mothballed, the workforce sent home on unpaid leave. The vast network of subcontractors, their raisons d’être found defunct, likewise were forced to close down or at least put workers on short time14. Whole communities in industrial towns were in de facto unemployment in a matter of weeks. 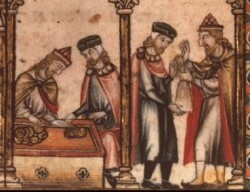 And in the stillness of their idle factories, CEOs and Finance Directors (“FDs”) turned to their debt finance contracts, with their schedules of payment and repayment dates, and reassured themselves that provided interest payments could be met, and with long-distant repayment dates, their companies would muddle through. After all, their relationship bankers were reasonable commercial people. They would agree to any minor amendments so that the business would come through what appeared to be a short recession, safe in the knowledge that all would be repaid in due course. Indeed, the downturn was the bankers’ fault – suitably chastened, the banks would surely be more than willing to assist the manufacturers take the lead for once and work everyone out of crisis. As we shall see in Part 2, this assumption was gravely mistaken. Finance's contribution to GDP - another sleight of hand? I read this article and found it very interesting, thought it might be something for you. The article is called A Short Legal History of the Credit Crunch – Part 1 of 4 and is located at http://criticallegalthinking.com/2011/02/14/a-short-legal-history-of-the-credit-crunch-part-1/.